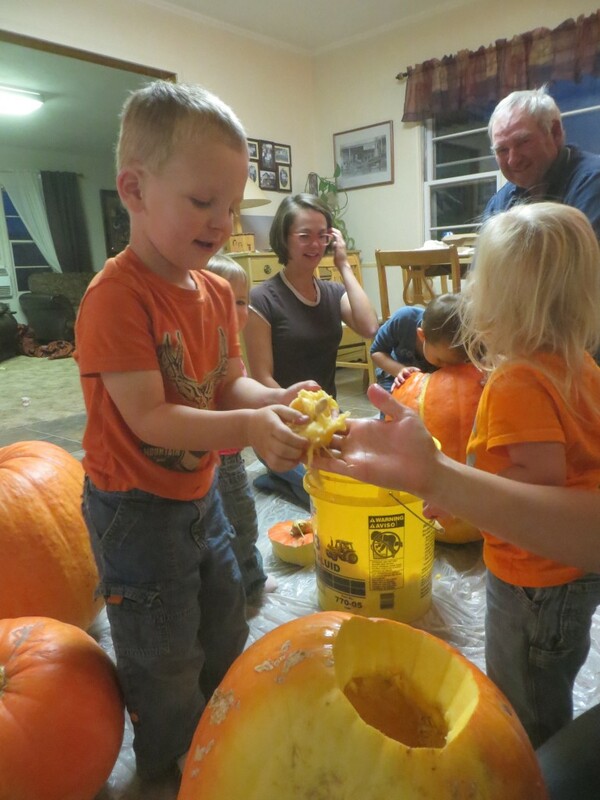 While the boys were helped with carving their jack-o-lanterns… the girls were turned loose with paintbrushes. Great family photos! 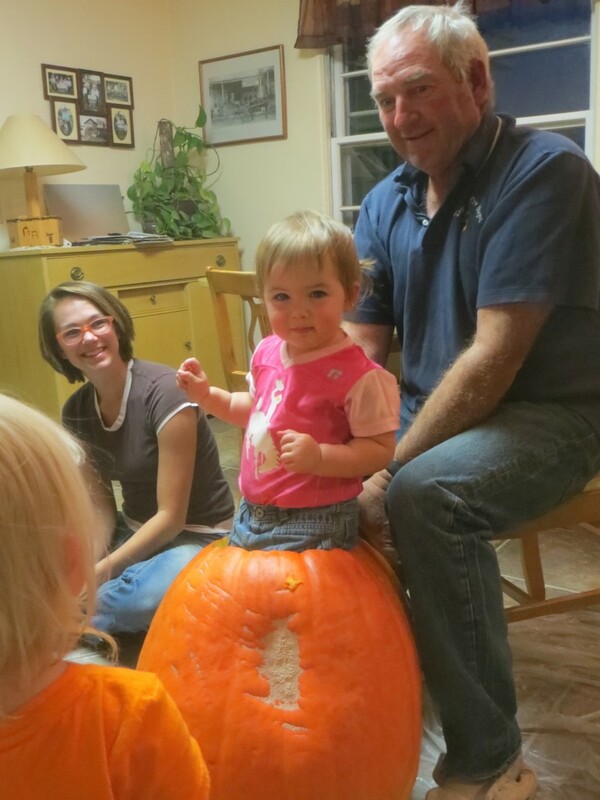 Grandkids bring such joy; you can see it on all of their faces! I miss my grandsons, but your photos brought me smiles and joy in my heart. Thanks for sharing. Wait til you see the latest post! How much fun is that? Makes me wish my grands wouldn’t have been 1,000 and 1,300 Mike’s away growing up! 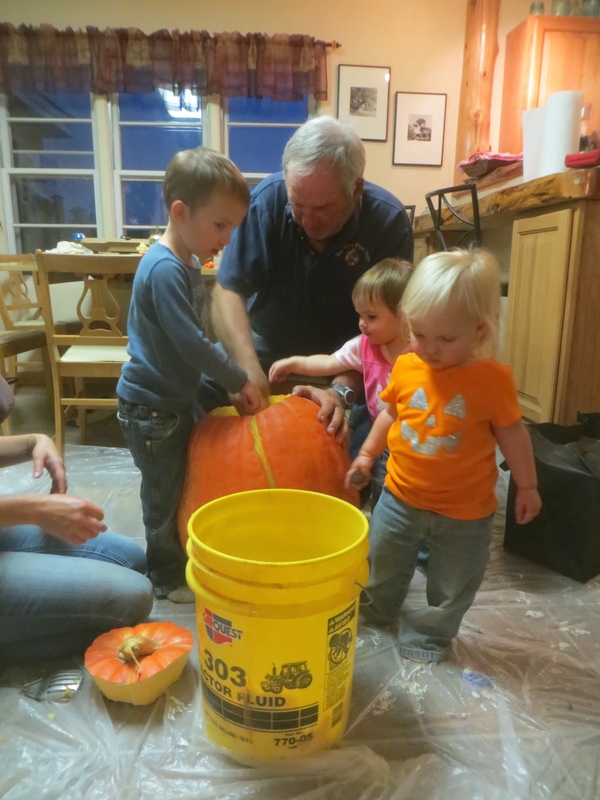 Now that’s a first – getting inside a pumpkin!! Love it! Adorable photos. 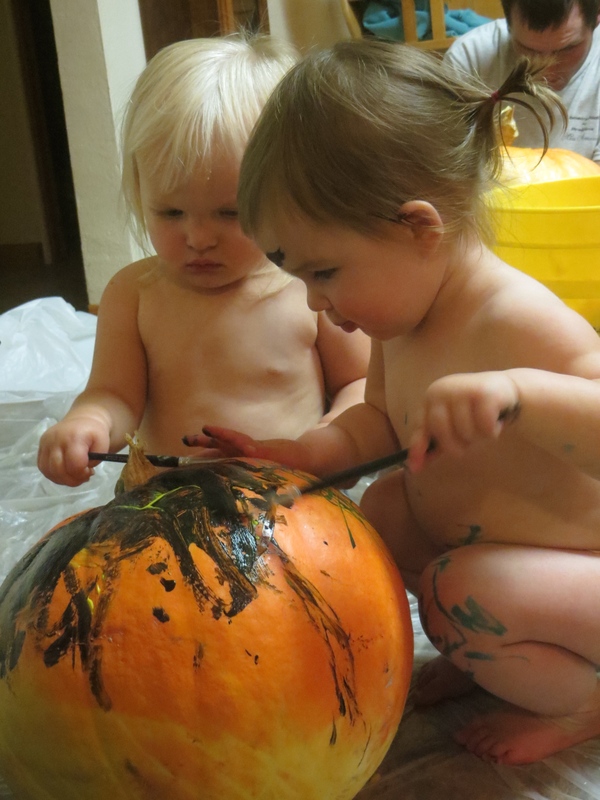 Lots of fun going on here, especially the girls with the paint brushes. What concentration there is as they create.